The A model sports a rugged lightweight aluminum chassis with a design that sits remarkably low on your rod. 7 total ball bearings include 3 anti-corrosion and a Dead Stop Anti-Reverse bearing. Our proprietary Arrowhead line guide, 22lb Bulldog drag system, and 6-way centrifugal braking system round out the highlights on this 6.8oz reel. Zero Friction™ pinion. Gear Ratio: 6.1:1. Continuous Anti-Reverse™ clutch. 9 PT Bearings (8 Clutch). Mono Capacity: 135/12. Braid Capacity: 170/30. Hand Retrieve: Right. Right Hand Retrieve. 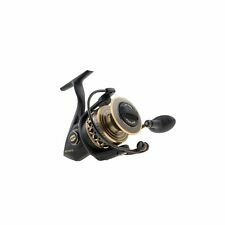 Lew’s Mark Rose Speed Spool baitcasting reel right hand. Condition is New. Shipped with USPS First Class Package. Machines and double anodized aluminum U-shape 32mm spool. Rugged carbon fiber drag system provides up to 20lb drag power. High strength solid brass main gear and crank shaft. Premium 10 bearing system with double-shielded stainless steel bearings and Zero-Reverse one way clutch bearing. Now even tougher with stainless steel drive and pinion gears and a whopping six corrosion resistant ball bearings (CRBB). Available in 7.1:1 and new Xtra Hyper Speed 8.1:1 gear ratios. Custom EVA power handle knobs to help you crank in tough adversaries in comfort. ABU NEW MODEL 507 MK 2. Improved gear components have made the reel feel smoother and more powerful. 5 Bearing Reel. 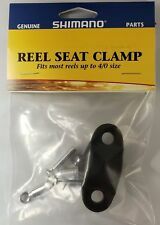 Deluxe Reel case. Spare spool outer felts. Lead Mould Accessories. Accessories / Tackle. 2 x2BB 'carp runner' reels with 8lb line In Box. BRAN D: NGT. - Power Drive Gear Equipped For High Strength. Line Capacity. 0.40 195 20 210. - 30 Stop-Point System. made with love by. Colour - Black. Shimano Ultegra XTD 14000. Loosening the high speed drag enables the carp angler to use the new Ultegra 14000 XTD on 'free spool' mode while just a very small turn on the high speed drag knobsets a sensitive drag almost instantly, making it suitable to instantly fight the carp that is on the other end of the line. Orvis Madison Fly Reel Model 6/7 Good Condition. Condition is Used. Shipped with USPS Priority Mail. Seems to function well but I don’t know enough about fly reels to say with 100% certainty that it wouldn’t need servicing. I assume it has been sitting unused for a while. The line looks good though. The Lew’s BB1 Pro Speed Spool is ready to impress. From its stylish good looks to its new QuietCast braking system, the BB1 Pro is re-defining what performance is all about. The BB1 Pro features a premium 10-bearing system with double shielded ball bearings and a Zero-Reverse anti-reverse. LINE CAPACITY (YDS/LBS) 140/12, 130/14, 110/17. The drag is in excellent working condition. Hardy Marquis LWT Reel. Marquis LWT 5. Marquis LWT 6. Marquis LWT 7 HREMARG030. A re-modeled classic Hardy fly reel. The Hardy Marquis was a main stay of the Hardy line for many years. Spool Code. Spool Price. Zudem ist die Rolle mit einer zusätzlichen Spule und vier Line Reducer (2 x Größe 10.000 und 2 x Größe 3.500) ausgestattet. Dies bietet die Möglichkeit, mit unterschiedlichen Schnüren bzw. Schnurfassungen zu fischen.